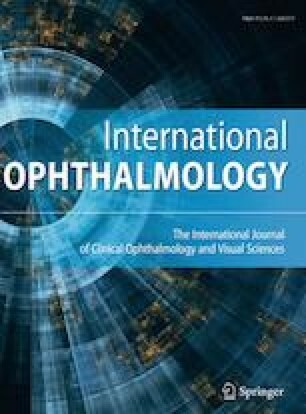 In this novel study, we demonstrate a standardized imaging and measurement protocol of anterior segment (AS) structures with reliability analysis using ultrasound biomicroscopy (UBM) and ImageJ software. Ten pediatric and young adult patients undergoing examination under anesthesia for AS pathology were imaged using UBM. Four trained observers analyzed 20 images using ImageJ. Forty-five structural parameters were measured. Those that relied on the trabecular-iris angle (TIA) as a reference landmark were labeled TIA-dependent (TD) and all others were labeled non-TIA dependent (NTD). Intra-observer repeatability (IOR) and inter-observer agreement (IOA) of measurements were determined using coefficient of variation (CV) and intra-class correlation (ICC) followed by assessment of Bland–Altman plots (BAP) for each pair of observers, respectively. For NTD parameters, non-ciliary body (CB) related measurements showed CV range 0.60–16.22% and ICC range 0.84–0.89, whereas CB-related parameters showed CV range 2.86–23.40% and ICC range 0.29–0.92. For TD parameters, parameters < 2 degrees removed from reference showed CV range 0.02–5.40% and ICC range 0.89–1.00, whereas parameters > 1 degree removed showed CV range 0.63–27.44% and ICC range 0.22–1.00. No systematic proportional bias was detected by BAPs. Preplaced landmarks yielded good IOR and IOA in quantitative assessment of AS structures that were NTD and non-CB-related or less removed from the reference. CB-related NTD measurements varied greatly in IOR and IOA, indicating protocol modifications or CB qualitative assessments needed to improve accuracy. Variability in TD measurements increased the further removed from the reference, which supports implementation of a reliable reference landmark to minimize variation. The online version of this article ( https://doi.org/10.1007/s10792-018-0882-6) contains supplementary material, which is available to authorized users. This work was supported by: (1) The Knights Templar Eye Foundation Career Starter Grants for 2015–2016 awarded to Dr. Janet Alexander and (2) The K23 Career Development Award from the National Eye Institute (K23EY025014) awarded to Dr. Osamah Saeedi. We would like to acknowledge Cierra McKoy for contributing to this work. No authors report conflict of interest. All procedures performed were in accordance with the ethical standards of the institutional and/or national research committee and with the 1964 Helsinki Declaration and its later amendments or comparable ethical standards. No animals were included in this study. This work involved human participants in which appropriate informed consent was obtained.